Published on November 21, 2015 by Martyn. Be the first to comment! 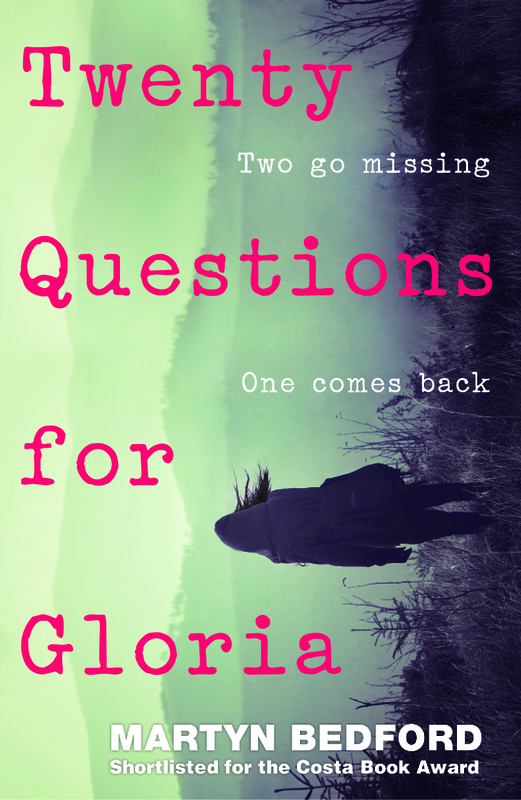 With publication day still more than two months away, early reviews of my new YA novel, Twenty Questions for Gloria, are starting to appear on the book blogs . . . and, phew!, they’ve all been positive. How do the reviewers get hold of the book if it isn’t on sale yet? Well, publishers produce bound proofs of a novel – advanced reader copies (ARCs) as they’re know in North America – which are sent to selected bloggers, reviews websites etc., in the hope of garnering good write-ups and generating a buzz ahead of publication. Click here to read the full review (dated Nov 8). Click here to read the full review (dated Nov 19). 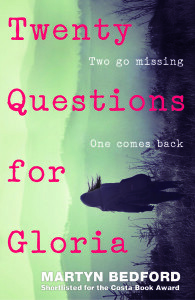 Twenty Questions for Gloria is due out in February with Walker Books in the UK and in April with Wendy Lamb Books, an imprint of Penguin-Random House, in the U.S. It is also being published in Canada and, in translation, in Italy, Germany, Spain, France and the Netherlands during 2016. The cover image, above, shows the UK edition but, if you follow the blog links, you’ll notice that Sue & Pakka use the American cover and Edel has a picture of the UK bound-proof cover. It’s a confusing business!